Approximately half of all patients consult online review sites when searching for a dentist. Online ratings help patients confidently choose a dentist they trust. Nearly 90% of consumers now trust online reviews as much as personal recommendations. 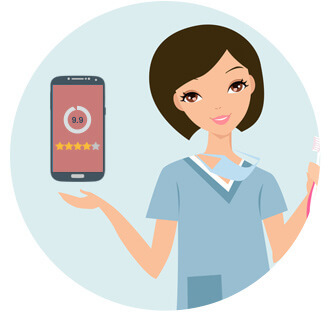 In a recent survey, 70% of dental patients said online reviews influenced their choice when searching for their next dental professional. In fact, more than half of people ages 18 to 34 say they trust online ratings MORE than the opinions of friends and family. Only 12% of consumers choose not to read online reviews. For dental professionals, this highlights the increasing importance of maintaining a positive online presence. 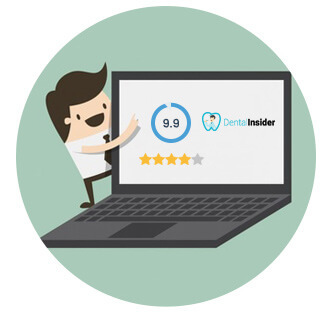 Dental insider connects dentists with patients in search of quality care. 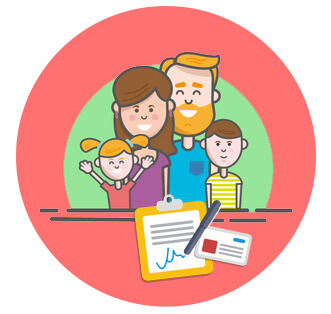 Because of online reviews gathered from trusted sources across the internet and the DI Rating, patients will be able to make more informed decisions about their future dental care. of customers say positive online reviews have reinforced their decision to purchase a product or services.